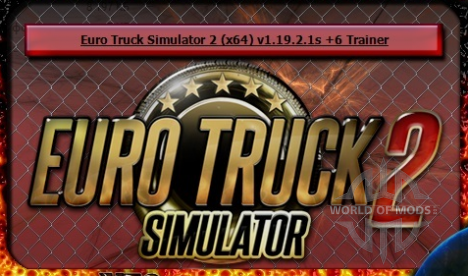 Euro Truck Simulator 2 trainer will help you become a successful trucker! Trainer for latest version of ETS 2. Allows you to quickly get money in the game, to don't take damage, to don't get tired and more. Installation: put the file of the trainer in the game folder, run it, start the game, use hot keys as described above to activate. To receive money correctly - activate the button in the menus with money (order selection menu, the buy menu).